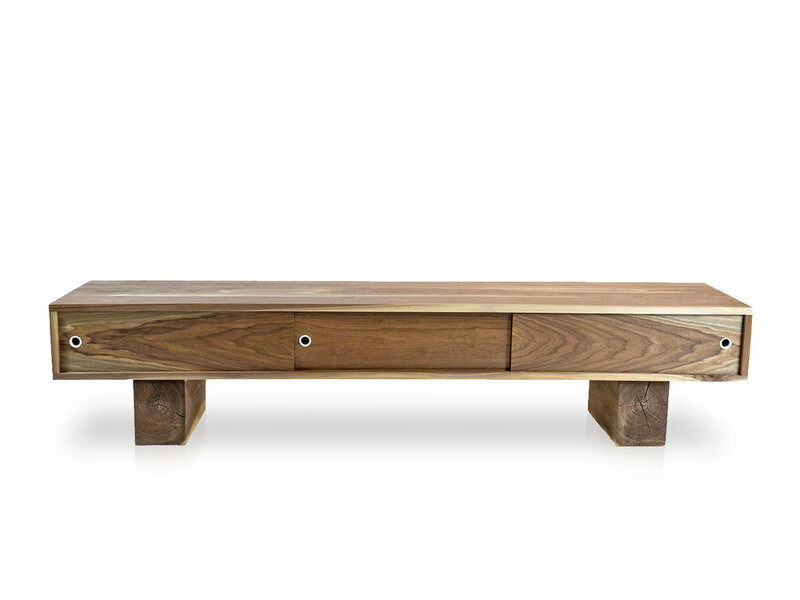 Low flung media console with three sliding doors. 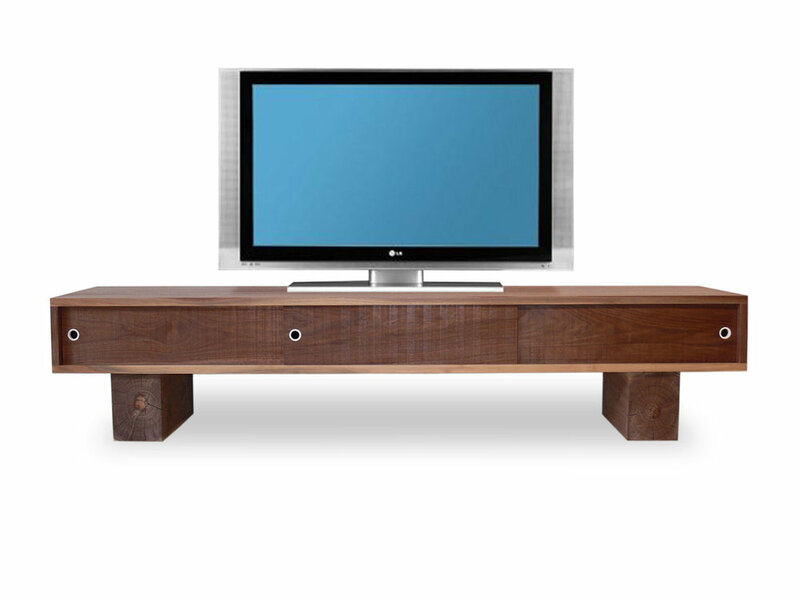 Sitting on scaled down beam legs, the Pawnee is perfect for media devices, such as TVs, turntables, speakers, etc. 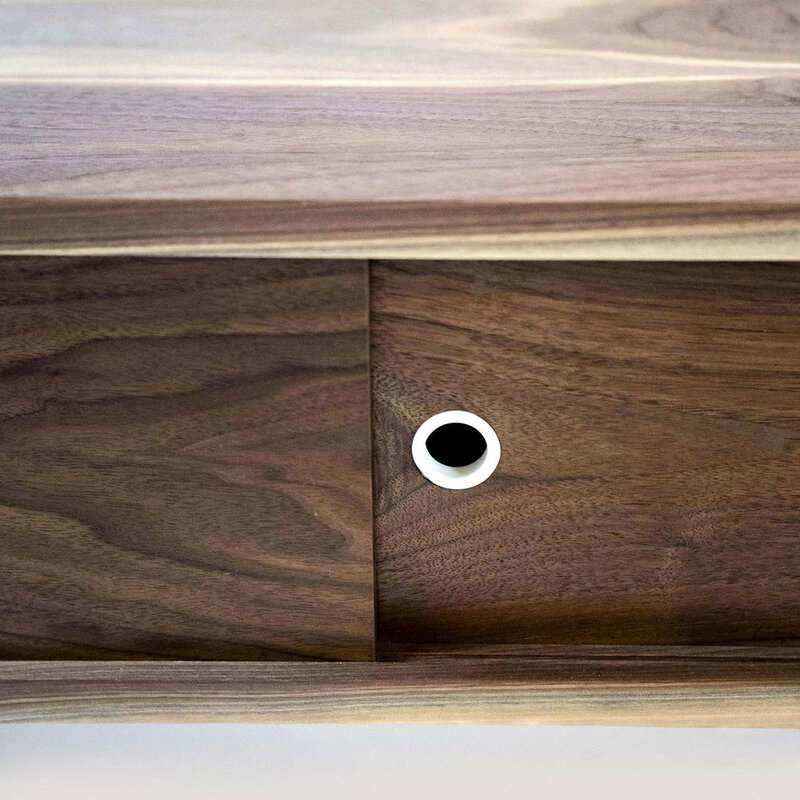 This console helps to hide the clutter that comes with these electronic devices. The Pawnee is offered a variety of wood and paint schemes. 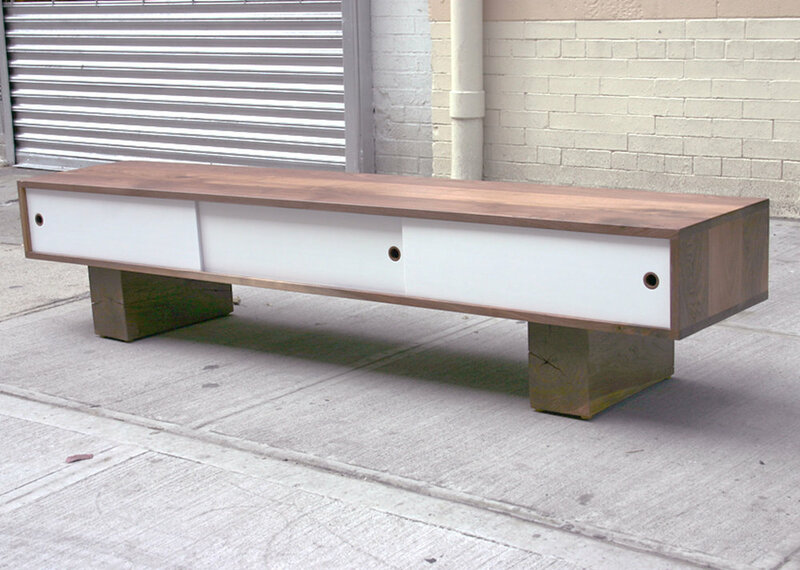 Dimensions: 73" x 18" x 16"
Each piece we make is tailored made for its new surroundings. 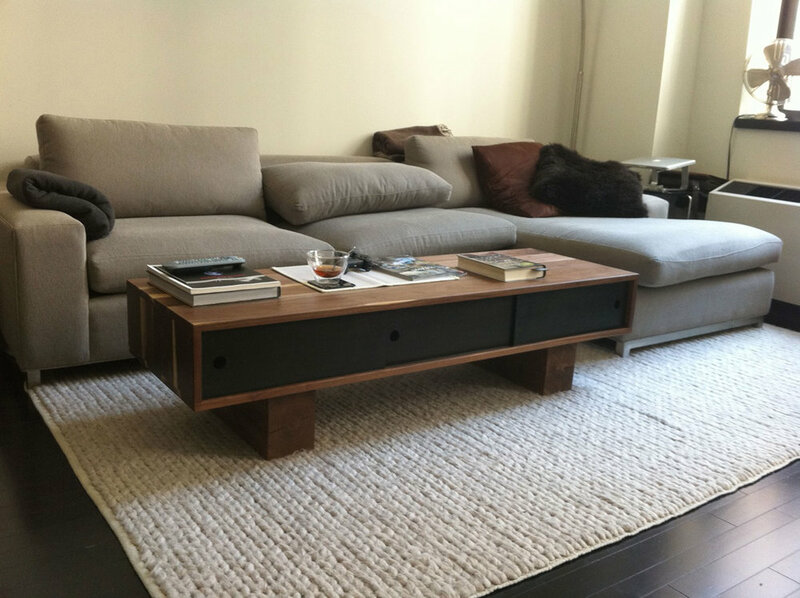 From time to time designers and customers we've worked with are happy with our work and they send us images of their new pieces in the home.